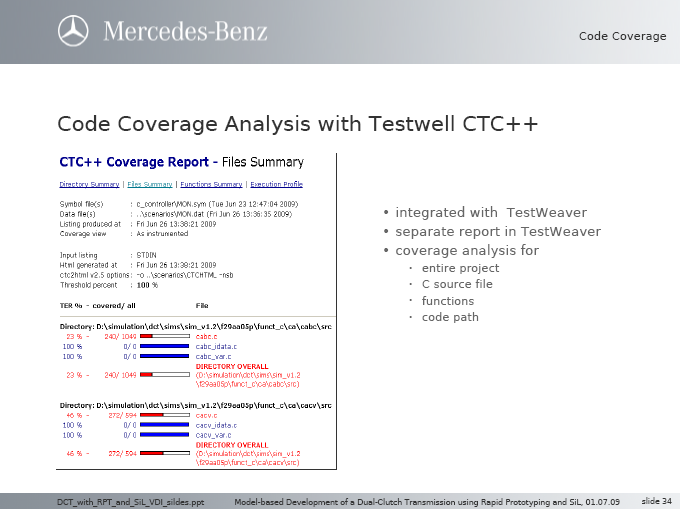 Testwell CTC++ Test Coverage Analyzer and and TestWeaver are working together. 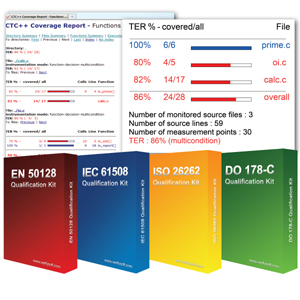 TestWeaver generates and runs thousands of test cases, while Testwell CTC++ measures the code coverage automatically achieved this way. 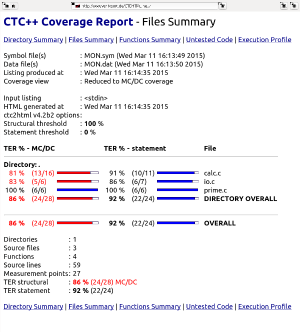 The resulting code coverage is reported by Testwell CTC++ using various tables. The combination of the two tools can be used to develop control software for automotive and aerospace applications, for medical devices and embedded systems. 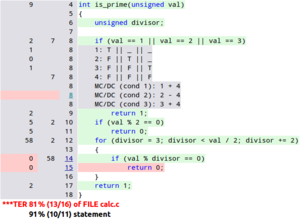 Benefits for developers are high test coverage and low workload for test engineers, since test cases are generated automatically. 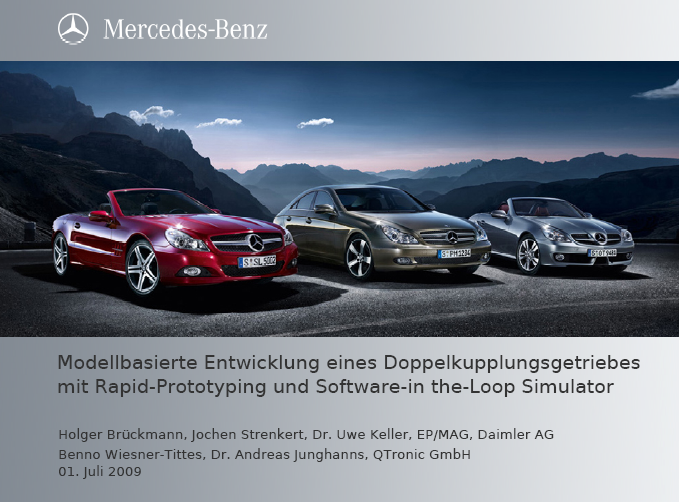 TestWeaver is available from QTronic GmbH Berlin.